My husband’s birthday is today. Happy Birthday! Now I have to get my work done for tomorrow. Good night! The photographer asked how old I was. I said, “Six.” No smile. The silly man tried to confirm: “Aw, you’re sick?” I giggled, “No, I’m SIX!” Smile. Shoot. Print! 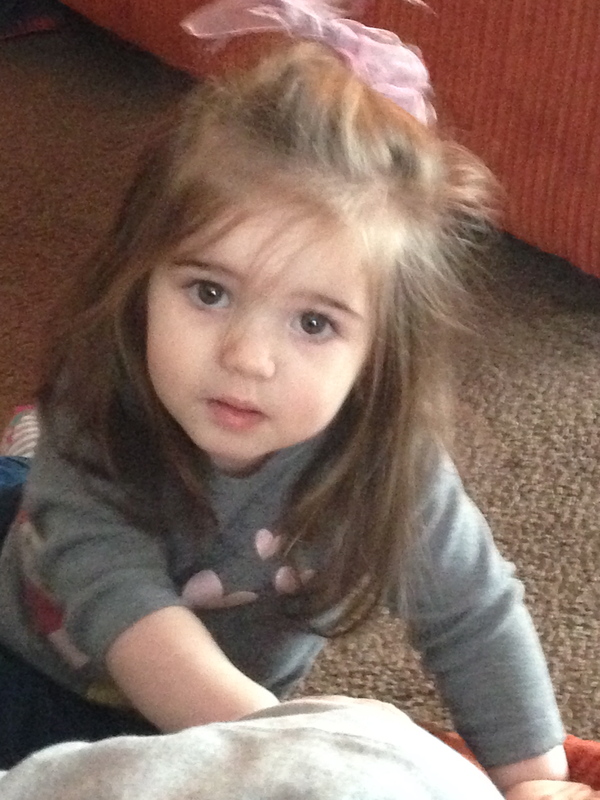 Miss Madilyn is my granddaughter. Eighteen months old going on 16, using her own language with a few “Nos” and “Yes’s” thrown in there to help you to remember she’s a human baby. What a gal! Funny? No. Hilarious? Most of the time. Cutie pie love bug? Every day! “K. (Singing) Pick up, pick up, pick up. There.” Immediately throws everything back out on the floor again. 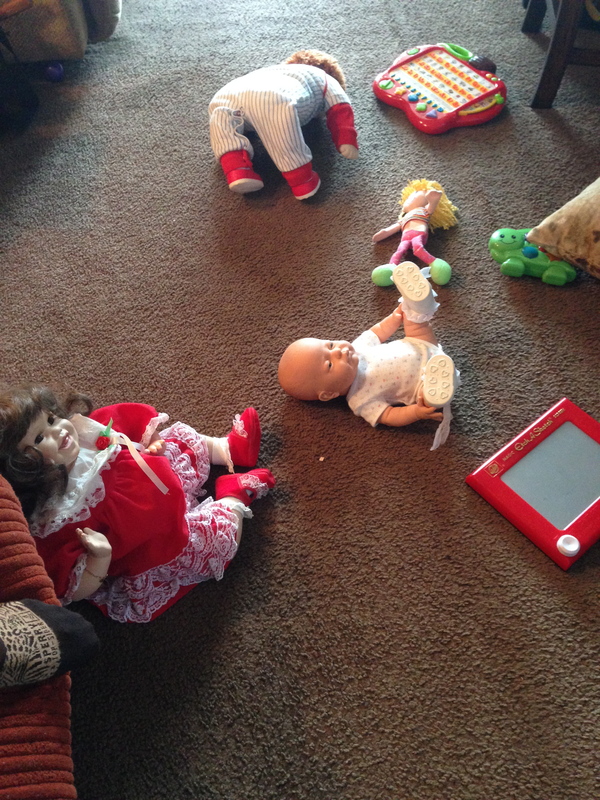 Walking around, playing with each toy, talking to each doll. I don’t know what she said, exactly, but I’m pretty sure it meant that she was not done playing and that I should not bother her with cleaning chores. Ha!